Brittany's Tara LaTour 'Evelyn' wedding gown in mint with ivory accents was both striking and romantic for her gorgeous Colorado wedding. 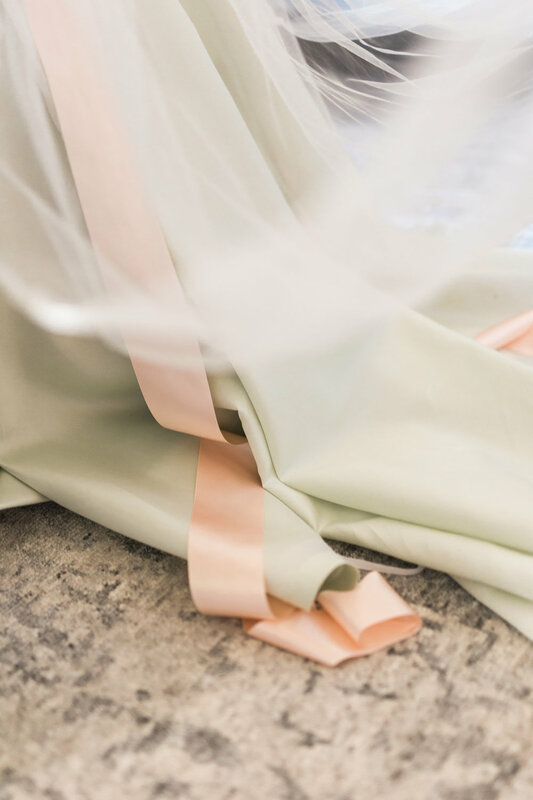 We love any bride willing to choose a unique color for her wedding dress! And Brittany didn't stop there—she included feather accents with her floral to play off of the silk fringe in her gown. 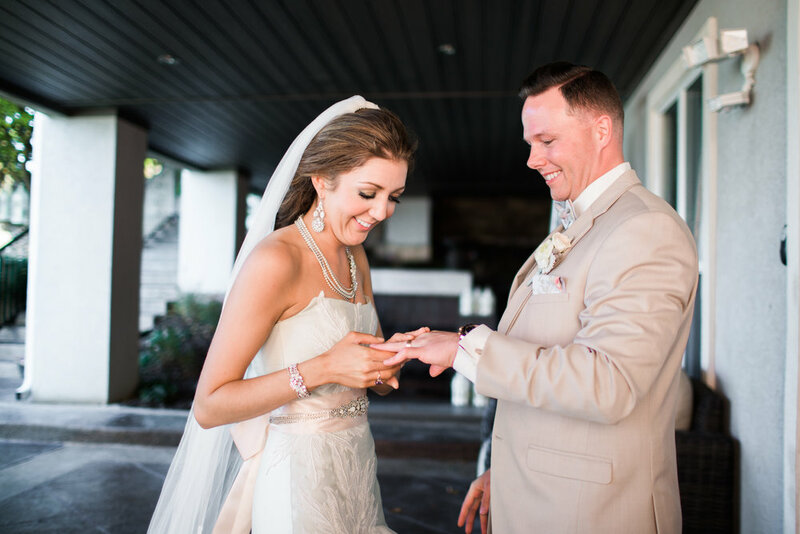 More than anything, Brittany and Brandon looked like they had a blast at their wedding! Congrats to the Mundarains! Cake: The Makery Cake Co.